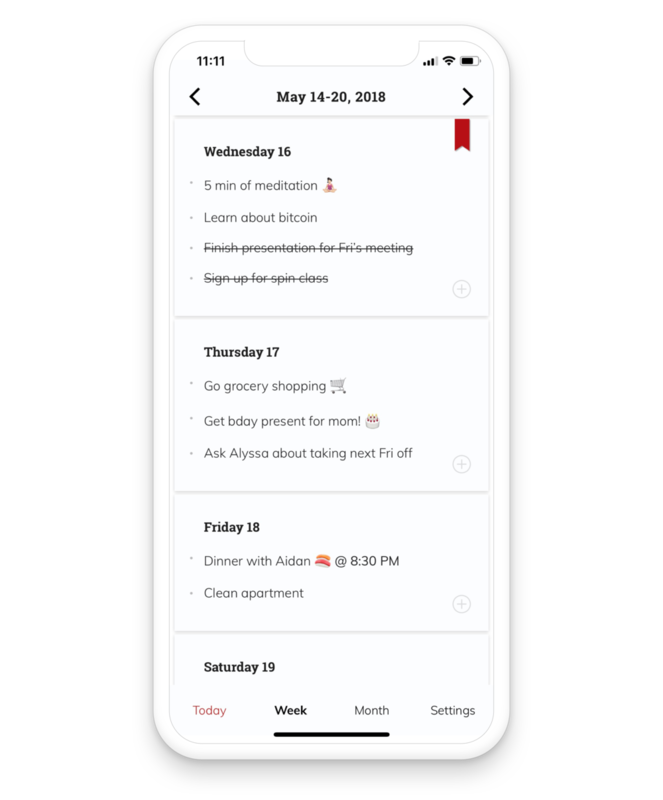 Finally, a calendar that lets you create to-do lists each day. List everything you want to do each day, cross them off, and feel the satisfaction of tracking your progress. Still using a paper planner? Well, then you're exactly like us—Listberry may be the digital alternative you've been searching for, too. 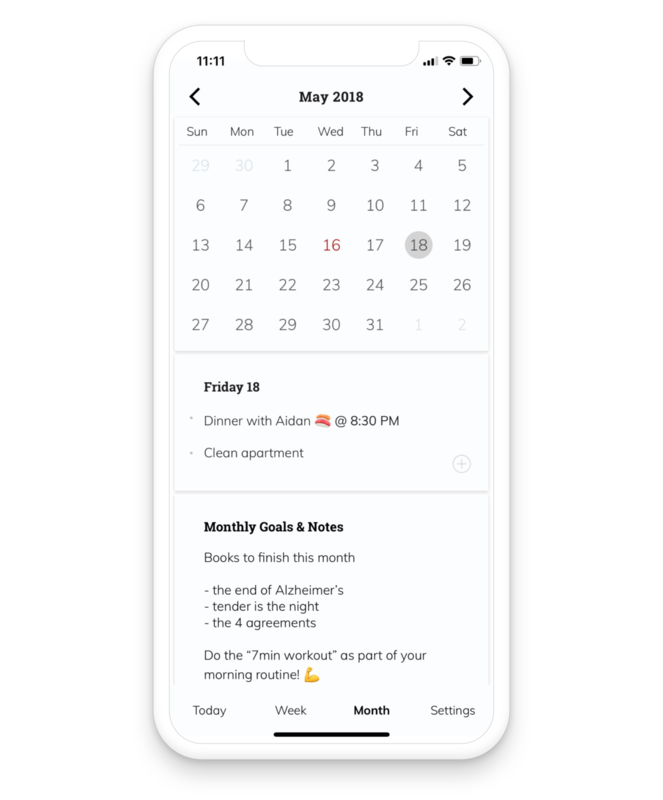 We wanted the simplicity, cleanliness, and sense of accomplishment that paper planners gave us—but also the convenience of a phone app and the option to set reminders. Plus, we were tired of lugging bulky planners in our bags. Designed by list-lovers for other list-lovers. Write down anything you have to do for a specific day. Plan & scan for days to come with our scrolling week view. Track your bigger picture to-do’s in both of the view options. See them as you plan your daily tasks. Reflect on sage wisdom as you plan your days. Because not EVERY task (e.g. Laundry) needs to be time-blocked as an "event". Bold and highlight the important stuff and create visual organization. Stay well, darling. We hope our apps ease your road to becoming all that you are meant to be.